Since becoming a full-time working artist, I’ve been applying to a lot of shows and art festivals. I was pretty pumped when I found out that I was accepted to the Virginia Fall Foliage Festival this October. Not only because it will be my first festival, but also because it is held near my hometown and its a festival I’ve been going to for years. I’m psyched to finally get to participate as an artist. The thing about applying to all these art shows is that you have to submit a booth shot as well as images of the types of works you intend to show. And until a few weeks ago, I didn’t even own a tent. 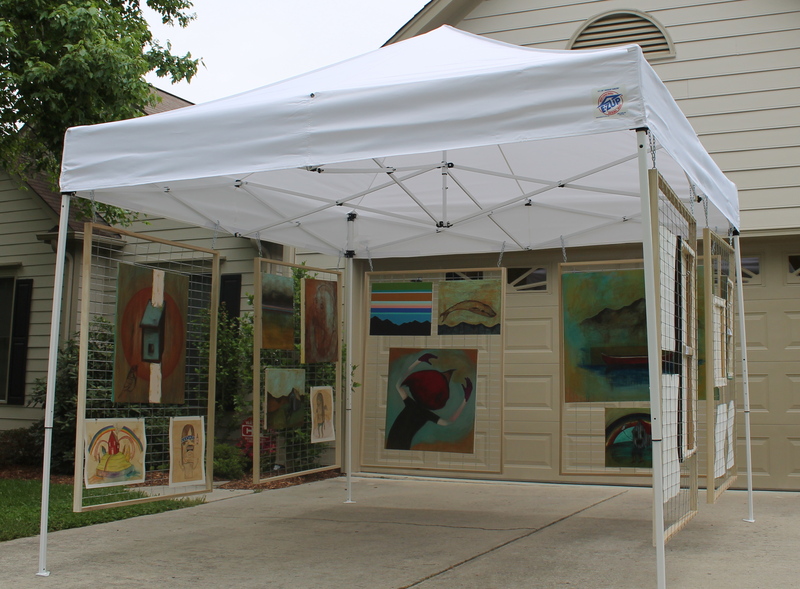 Thankfully, there are some pretty good videos and blog posts out there about how to DIY an art booth. Here’s how I tackled it. First, I bought an EZ Up 10’x10′ white tent at Sam’s Club. Lucky for me, it was the deluxe edition and it came with a carrying bag and velcro sides that you can attach in case of wind or rain. Then it was time to build my wall panels. My goal was to make six panels, two for each side that would hang from the metal frame of the tent. 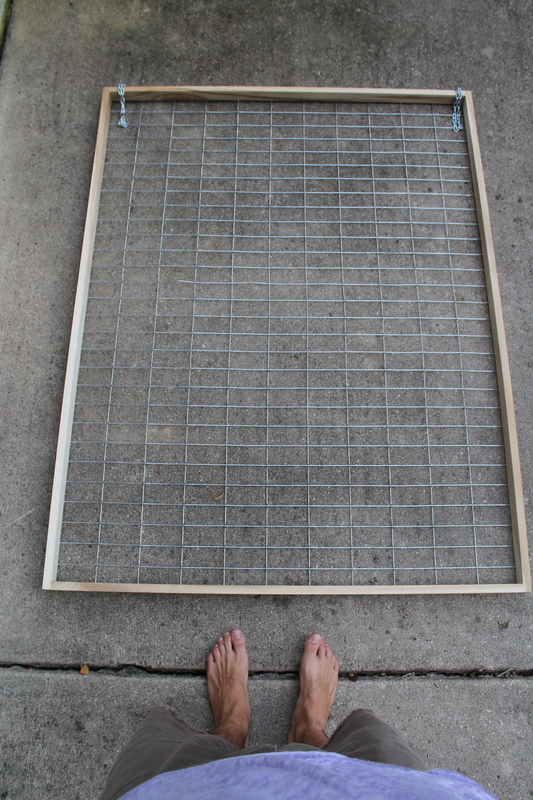 I wanted the panels to be 4’x5′ so they would still be manageable and fit in the back of our SUV for traveling. I made simple, wood frames out of 1″x2″ poplar. I chose to have some depth to my frames by nailing the sides perpendicular to each other. That way, when I display my work, the sides of the panels will act almost as a frame to the artwork. 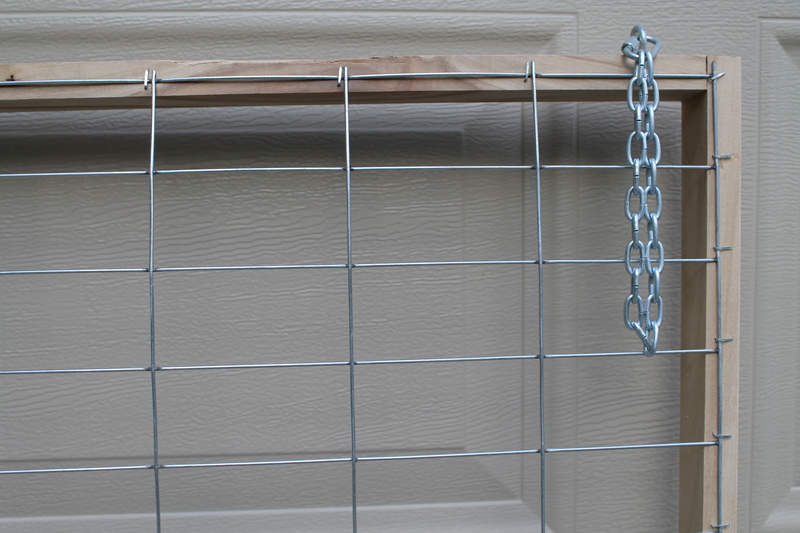 To hang my work, I just use an S hook to secure the picture hanging wire to the fencing. I think the whole tent turned out pretty good for my first attempt. We’ll see how she does at the festival. If you’re around, the Fall Foliage Festival will be October 12-13. Feel free to stop by and see if my tent is still standing. 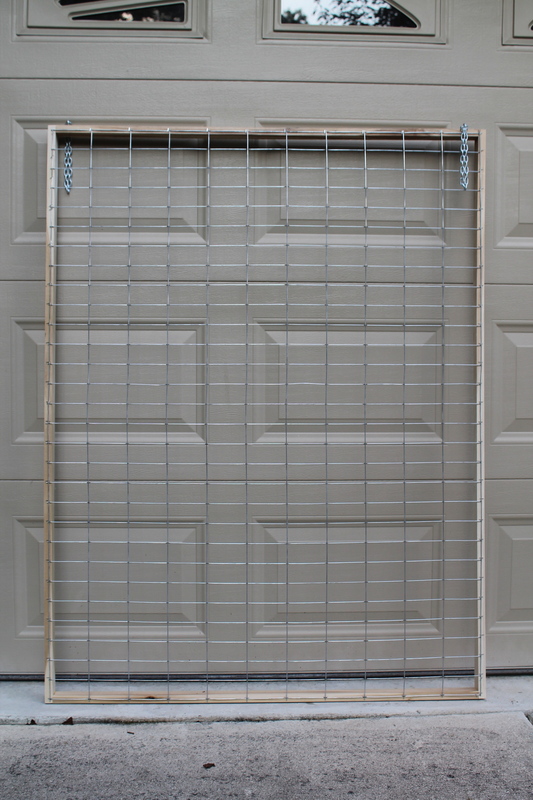 Thanks for this post – I am applying as well and I appreciate the easy tutorial on how to assemble these panels! Awesome! Glad you found it helpful. Good luck and maybe I’ll see you in Waynesboro. HAHA! This is perfect. I just sent you that email about putting together a booth. This helps me out a lot! I hope you found it successful when you actually where at the fest.